First Beach School - Mayhew Page Cottage 2563 Cottage St. The first beach school, seen here, was held in the Mayhew Page cottage at 2563 Cottage Street. 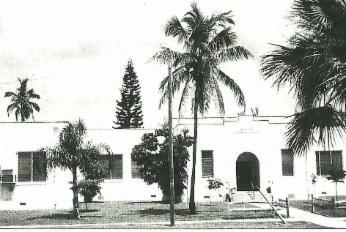 The school opened in 1937 with 27 first, second and third grade children, with one teacher who was paid $80 monthly by the school board. "Free will" offerings were taken by the parents to pay the monthly rent. Within the year, the student body had outgrown the cottage, which still stands today on the same site as a treasured private cottage home. Second Beach School - Woman's Club 175 Sterling St. 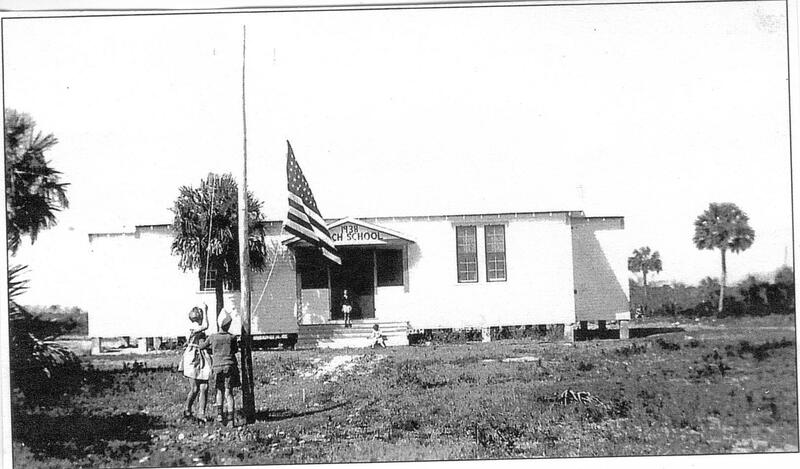 This school bus provided transportation for the next ten years to the second Beach School which was a two room schoolhouse that opened in 1938 with two teachers for grades 1-6 on Sterling St., (as seen below). During WWII the beach population increased rapidly. 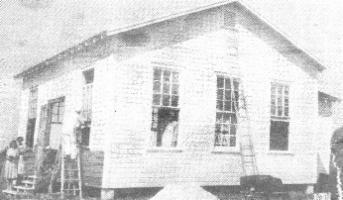 The newly constructed lunchroom, seen below, was built behind the school and served as an additional classroom when the third teacher was added in 1943. 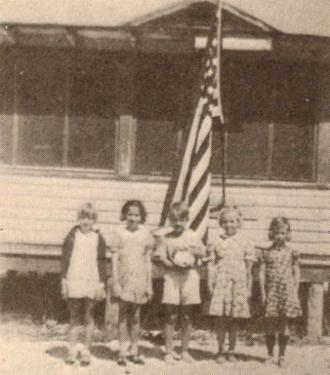 1948 Marked the end of an era, when the last classes retired the school to move to the larger Beach Elementary in 1949. The faculty of three no longer served as teachers, custodians and bus drivers! This is the site of the third school built on the island. It opened in 1949 for grades 1-6 with 5 teachers and a principal. Today it serves K-5 with 10 teachers, a principal and support staff. Beach Elementary, seen here, opened with a large auditorium and stage, with three classrooms in each wing. One classroom served as lunchroom until the cafeteria was added in 1955. The school quickly expanded adding an office side entrance with ramp leading to the courtyard and primary wings. The two kindergarten classrooms opened in 1972, and later the auditorium was converted to a library/media center. As always, a grateful community stays active in supporting the island children.